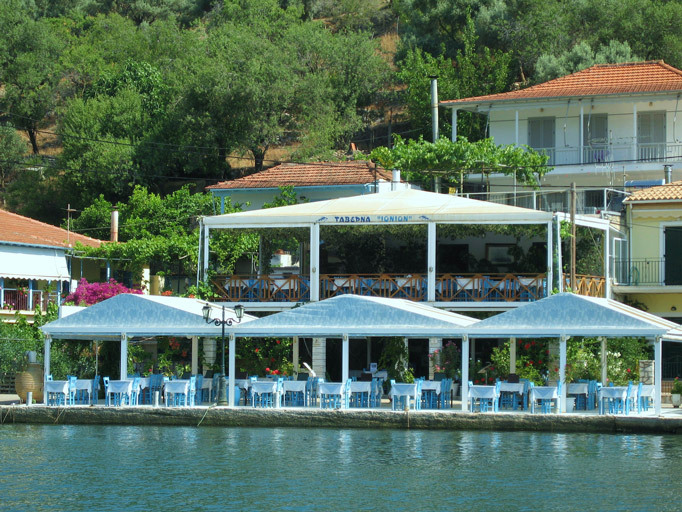 All of our boats are based and moored in front of Ionion Taverna at Sivota bay, on the south part of Lefkas Island. 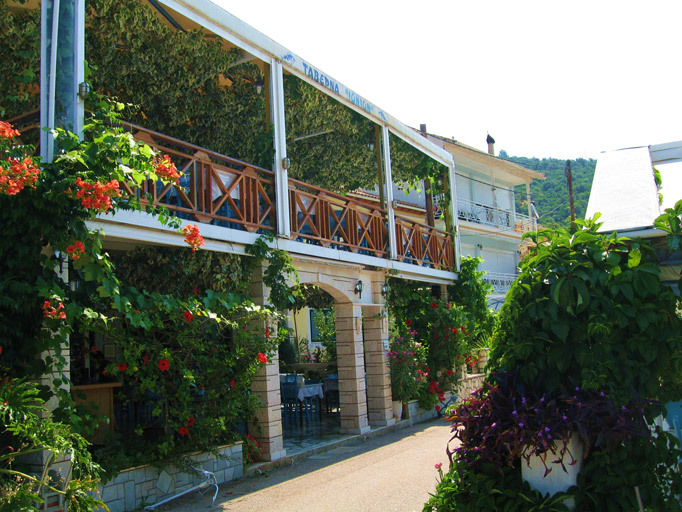 You will find us on Ionion Taverna which is also owned and managed by our family since 1982. We are on the left side of the bay as you drive down to the village. is the local airport, 50 km away. There are different flights from Europe for whole summer season. See some links of flight agencies that follows. On your arrival we have a taxi waiting under your name at the airport exit to take you direct to the boat. Taxi cost from Preveza airport to boat 60 euro payable to the driver. Corfu airport it is 1h by ferry boat via Igoumenitsa, which is 150 km way. At Corfu airport there are more flight connections and much more economic. It is longer distance than Preveza but due to big difference on cost is recommended especially if planning more than a week holidays. 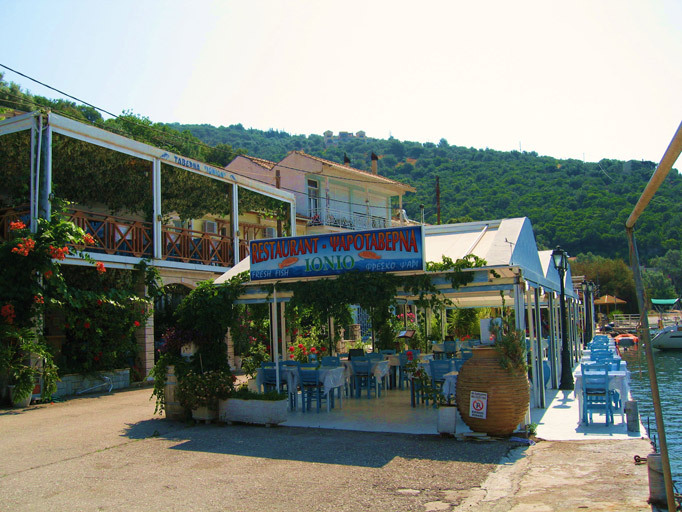 After you select your flight at Corfu airport we can arrange a taxi to wait for your arrival at Igoumenitsa (mainland, opposite to Corfu) to take you direct to the boat. Taxi price paid to the driver is 150 euro. Still even like this is cheaper than Preveza flights. Another option is the flight connection between Corfu and Preveza airport with http://www.skyexpress.gr/ . There are flights every Monday, Wednesday, Thursday, Friday, Saturday and Sunday. Flight Corfu to Preveza is 30 min and ticket cost is about 50 euros. Drive to such ports as Venice, Ancône, Bari or Brindisi in Italy, then take a car ferry to Igoumenitsa (which is 140 km from Sivota). There are several daily departures all year round.